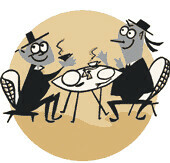 I just wanted you to know that I finally got my website - knottspreserved.com - up and running. It's ostensibly to promote the book, which is coming out this March - but even more, to show many of the images that were cut from the book due to size limitations. Trying to fit 90 years of history into a 144-page book will do that! The amazing J. Eric Lynxwiler is my co-author, by the way. I only have had time to put up some basic informational pages, along with about 5 sections showcasing photos and other media (Paul von Klieben, Christmas in Ghost Town, the Haunted Shack, the Calico Mine Ride & Knott's Bear-y Tales). I will be adding more as time allows, but for now, I hope that is interesting and whets your appetite for more. I also will have a blog, which I will also be updating as time allows. The first entry tells you the background on how this project came to be - I have been working on this in some fashion since the early 1990s! This is the page to bookmark and check on every so often to learn what is going on with the book. Lastly, when you do look at the pages with photos on them, be sure to scroll all the way down to the bottom of the page. At the bottom, I am trying to include excerpts from many of the interviews I have done over the years, and some of the recordings in my collection. Some of the pages make take some time to load - as I didn't want to make the images and videos even smaller than they already are. So - I would recommend a high speed connection if possible. If not, be patient. It will load eventually. I hope you enjoy the website! If you have time to mention to anyone else you think might be interested, please do! Now you made me want Chicken dinner! The ModCom is planning a special event with Mr. Merritt to celebrate the release of his book. Keep watching this space for announcements. Congratulations on your book and website! Oh - a hearty big congratulations for you on this accomplishment, Chris! Please keep us posted on all your announcements. Hooray! Knott's Preserved is on its way. We're setting up a few signings the week of April 17-25, but the one you all must attend is on April 18. Chris Merrit and I will be signing at Knott's Chicken Dinner Restaurant along with Tony Baxter who wrote the book's introduction. Doors open at 10 and we'll sign all we can through noon. Also, we're planning a big, ticketed event to follow the book signing. The big day will include admission to Knott's Berry Farm, walking tours of Ghost Town, a lecture on Knott's history in the Bird Cage Theatre, dinner at the Chicken Dinner Restaurant and a Q&A with several notable designers from Knott's past. If you like Halloween Haunt, Knott's Bear-y Tales or the Wacky Soap Box Racers, you certainly don't want to miss our guests at that evening's Q&A. We'll have more details regarding this ticketed event soon. 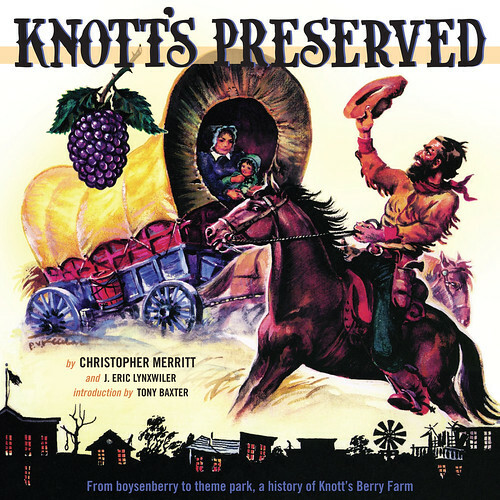 In the meantime, mark your calendars for the April 18, Knott's Preserved book signing with me, Chris, and Tony Baxter. See you there!